Kirkstall Ltd. recently celebrated our 10th anniversary, having established our organisation in late 2006 following a visit to the University of Pisa, where CEO Malcolm Wilkinson was first introduced to the interconnected co-culture system, now known as Quasi Vivo®. Over the last 10 years Kirkstall has invested significantly in research and the development of this system to provide a commercially available inter-connected cell culture system which meets the specific needs of researchers, which is now in use in over 70 academic and industry labs across the world. 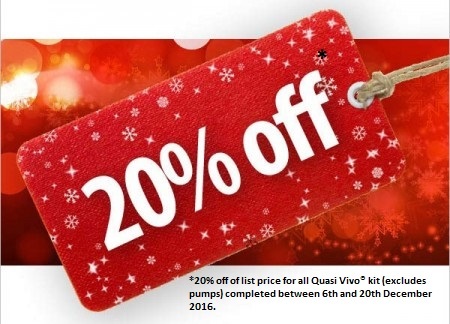 To celebrate this achievement, we are pleased to offer 20% off of all Quasi Vivo® kit (chambers and accessories) for any purchases made between 6th December 2016 and 20th December 2016. Please note, 20% is discounted from the list price and is not available on pumps. To take advantage of this great offer, please contact us for more information.